I’m participating in “Shakespeare in Community’, an online course offered by Coursera. Many of our assignments are experiments with media applications. This particular one is an exercise in word play. Using WorditOut, we were asked to randomly generate bits and pieces from Romeo and Juliet . I went with the prologue since I had just blogged about it. I was amazed at what showed up on my first try. Notice the three large words? 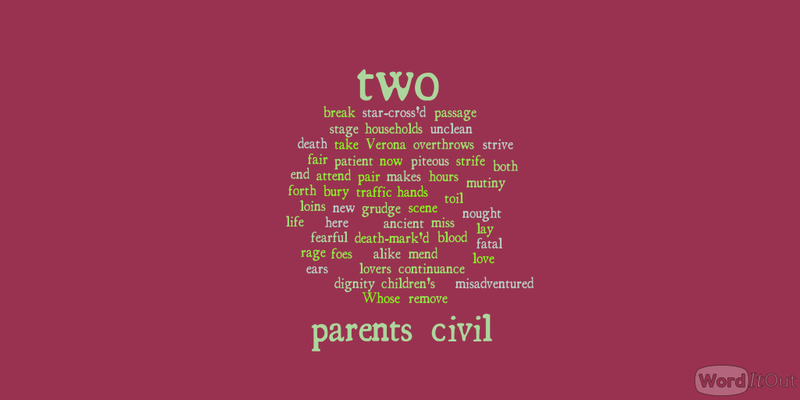 They beg the question: Might we have a different play had at least two of the parents acted civil?